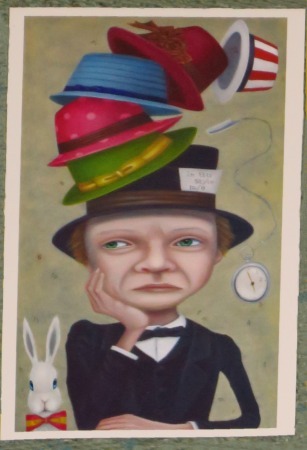 From Somewhere in Time » Tomomi Hasegawa postcards! There's been a problem with my blog, and I haven't been able to upload photos for a while. 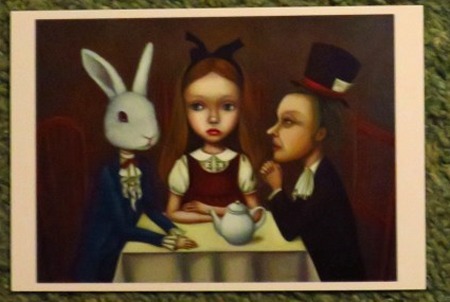 Now it's fixed and I can put up these "Alice" postcards, sent by my friend Yoshi from Japan. 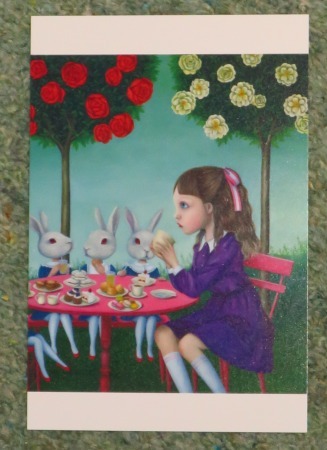 They're in a set called "Alice Tea Party" by the artist Tomomi Hasegawa. 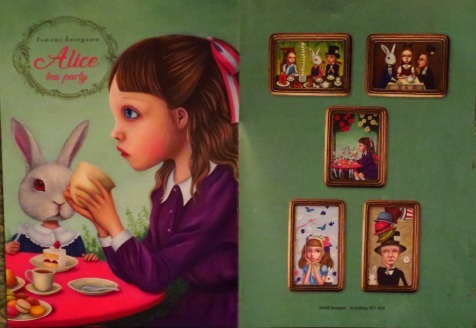 I like them all but my favourite picture is the first, where Alice is surrounded by butterflies. 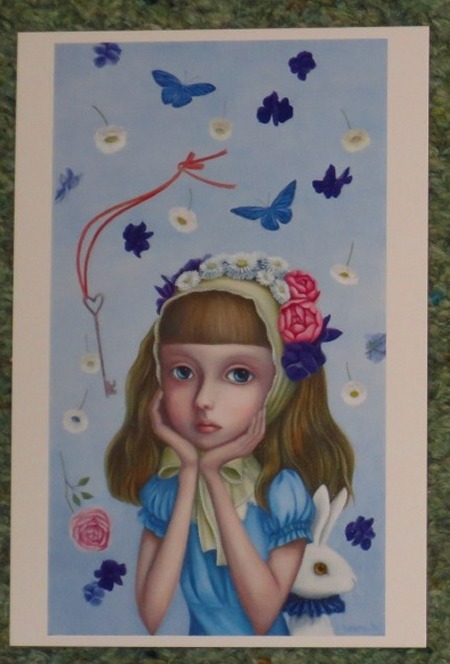 All the pictures are done in a typical modern Japanese style, with Alice looking serious and thoughtful. 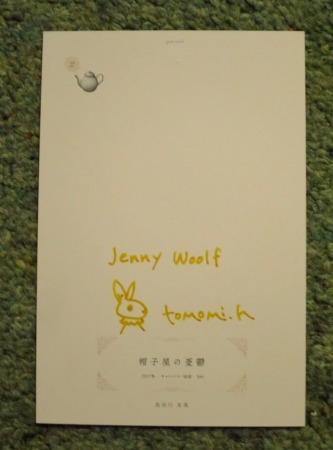 And Ms Hasegawa signed one of the postcards on the back with a White Rabbit. 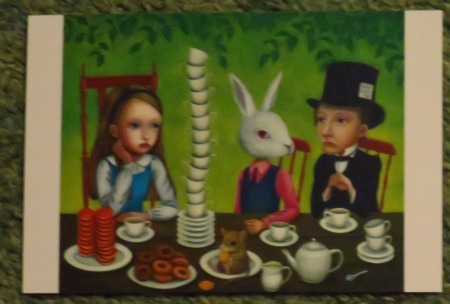 It seems to me that every character in "Alice" has a very distinct personality. My favourite is probably the surprising and elusive Cheshire Cat, and I think the White Rabbit is Yoshi's favourite - he didn't tell me why. I wondered if she's done any more "Alice" pictures.